This top 10 list of most dangerous countries in Africa is based on the degree of instability and violence that commonly erupt in these countries. Most of these countries are characterised by war and political instability, acts of terrorism, crimes against humanity, among other dangerous activities. This list is taken from the Global Peace Index report of 2012. Global Peace Index has been classifying 153 countries according to how peaceful they are. The 2012 Global Peace Index has actually discovered that the world has become slightly more peaceful when compared to the previous year. The list considers renewed fighting, the resurgence of political instability including terrorist threats. Here is the list of 10 Most Dangerous Countries in Africa. Ethiopia comes up at number 10 on our list of 10 most dangerous places in Africa. Ethiopia has been involved in a conflict with Eritrea for more than ten years. Eritrea got her independence from Ethiopia about 30 years ago following a prolonged fight for freedom. The Border disputes between Eritrea and Ethiopia have been going on ever since Eritrea broke free from Ethiopia in 1991. The International Court of Justice had clearly defined the borders between the 2 countries but there is still a tense relationship between the nations as Ethiopia has not fully withdrawn from the region. There is also a group known as Oromo Liberation Front which has been labeled as outlaw and a terrorist organisation by the Ethiopian government. The organisation was started in 1973 by Oromo nationalists to promote self-determination for the Oromo people against what they call “Abyssinian colonial rule”. For the past 15 years, Burundi has known political conflict and for more than a decade, the local and regional peace talks have been initiated. The international community and other peace-loving organisations have tried to find a way out of the endless Burundian conflicts but the outcome seems to be a worsening state of political, economic and social violence and inequalities. The misaligned political interests have fuelled these instabilities over the years. Following the country’s presidential election in 2008 between Robert Mugabe and Morgan Tsvangirai, his main rival, both claimed victory in the first round of elections, Zimbabwe has regenerated a wave of renewed violence and instability with the establishment of a system with two-heads: president as Robert Mugabe and Morgan Tsvangirai as Prime Minister in 2009. Although the situation later eased off a little bit, it was once again reignited when Zimbabweans started off massive protests against Mugabe in 2017, demanding that he steps down as the country’s president. This finally led to a military coup, albeit bloodless. 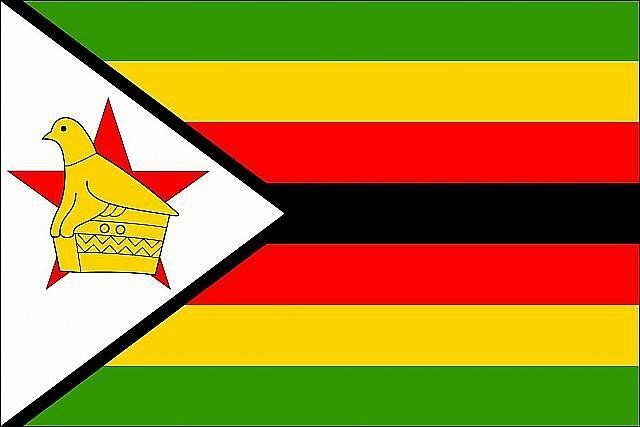 Zimbabwe Peace Project reported a 15% increase in human rights violations that were “directly linked” to the new push for polls in 2012 and 2 years earlier, attempts by the Prime Minister to develop the Constitution have been sabotaged by the camp of Robert Mugabe. Public meetings were banned, arbitrary arrests, looting, and ransacking, have pushed the country into violence. In general, the Zimbabwean government has remained a troubled coalition characterized by bickering and stalemate. The political impasse has impacted negatively on the benefits of a good governance and stalled Zimbabwe from operating in its full capacity. It has generally constrained peaceful political participation as well as economic progress. Chad has drastically improved its position by striking a more healthy relationship with her neighbouring countries. In the recent past, Chad was politically insecure and volatile. Ethnic clashes, banditry and fighting between government forces and rebel groups contributed to a worsening security situation in the region. It was reported that an estimated 180,000 Chadians were forced from their homes within three years while 285,000 refugees from the Central African Republic (CAR) and the Darfur region of Sudan have fled violence in their own countries and live in refugee camps in eastern Chad. The instability also impacted some 700,000 Chadians whose communities have been disrupted by fighting and strained by the presence of the displaced. Nigeria, Africa’s most populous country and home to over 180 million people is in the midst of political, economic and social instability. The north, central and southeastern parts of Nigeria are the most affected parts. In recent times, there has been a sharp increase in religious conflict in the northern part of the country where the killings of Muslims and Christians have sent over 40,000 to their graves. There has also been an increase in acts of terrorism and inhumanity against the government and public structures including churches carried out by a sect called Boko Haram. The Movement for the Emancipation of Niger Delta (MEND), as well as the Niger Delta Avengers (NDA), operate in the southern part of the country, attacking the facilities and personnel of oil companies. Kidnappings of expatriates and attacks on oil pipelines are their predilections. The Amnesty programme initiated by the Federal Government seems to have successfully reduced these attacks on government properties but the country has continued to face a rising wave of kidnapping and corruption. The crisis in Libya seized the attention of the international community and has been labeled a clear case for timely and decisive response in the face of an imminent threat of mass atrocities. 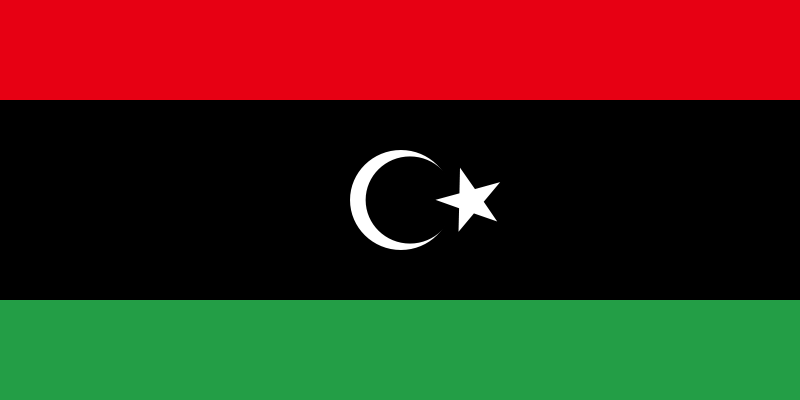 The protests led to the downfall of the authority of Muammar Gaddafi in the east. Since then, international intervention under the authority of NATO has still not managed to completely restore calm in the country. The security situation in the Central African Republic is growing more precarious by the day as an insurgent coalition advances toward the capital city of Bangui. Despite the signing of a peace agreement in 2008, some groups have not signed the agreement and are still active. In the south-east, the troops of the Lord’s Resistance Army (LRA) led by Joseph Kony, continue unabated. This group which is part of the most violent in the world has expanded internationally and is present in the DRC and southern Sudan, where he is engaged in looting and abductions of civilians. The Central African Republic recently joined the list and faces a devastating humanitarian crisis that threatens to plunge the population even deeper into misery. A series of landmark and peer-reviewed studies by the IRC and some of the world’s leading epidemiologists conclude that an estimated 5.4 million people died from conflict-related causes in Congo since 1998. The Democratic Republic of the Congo has faced a lot of border insecurity and violence within. The massive influx of refugees after the Rwandan genocide. To the east, the Allied Democratic Forces-National Army for the Liberation of Uganda (ADF-NALU), Ugandan rebel movement, is in conflict with the Congolese government. This group is related to the Shabab Somali fundamentalist Islamic group linked to Al-Qaeda. Sudan is a country that has suffered internal conflicts with serious political, security and humanitarian consequences over the years and the situation has even worsened in the past few years. Violence has flared along the border since South Sudan became independent last year. Conflicts have erupted in two border states where communities traditionally allied to the south found themselves north of the border after independence. The conflict in Darfur has killed about 300,000 people, including those due to famine and disease, and 2.7 million people have been displaced since 2003. The peace agreement signed in 2006 between the government and the rebel Justice and Equality Movement (JEM), one of the strongest rebel groups, is fragile because all factions did not sign. Thanks to self-determination referendum in 2011, the conflict in Southern Sudan is in the process of healing. However, the situation in Abyei remains uncertain. For over 20 years, Somalia has been in the face of a civil war. There has been constant conflict between the Transitional Federal Government which is supported by the United Nations and several groups of Islamist rebels, some of which are close to Al-Qaeda. The government of Sheikh Sharif Sheikh Ahmed seems to control part of the capital Mogadishu, which happens to be the scene of regular fighting between both sides to maintain control. With Somalia’s stability still foggy, over 20 percent of Somalis under the Office of the United Nations for Refugees (UNHCR) have fled the country controlled by fear. Among all the sub-Saharan African countries which experienced wars in the past 10 years, Rwanda has not been ranked among the ten most dangerous countries.